This module has been developed in response to the need for more guidance on vulnerability assesment, in particular for coastal areas, identified by participants of training workshops in Indonesia and the Philippines during a follow-up questionnaire. Many approaches for assessing vulnerability to climate change have been developed and applied in different contexts. The advantages and disadvantages of different approaches to vulnerability are discussed elsewhere on weADAPT. The goal of this module is to provide follow-on guidance on vulnerability assessment for participants of two workshops conducted in Indonesia and the Philippines in late 2013. We will focus on methods to rapidly assess vulnerability at the local level, give examples of several useful methods for assessing vulnerability, and provide links to a series of examples where these methods have been applied in Indonesia and the Philipinnes. At the core of our understanding of vulnerability is that it is context-specific, dynamic (it changes over time), and socially determined (different groups will have differing levels of vulnerability despite experiencing the same hazards). This is a simple method for assessing vulnerability at the community level by assessing which livelihood activities are most sensitive to different climatic hazards, and as a result which groups are most vulnerable to these hazards. This approach was introduced during the workshops. In the document below, guidance is provided on how to carry out such an exercise, and an example matrix provided. 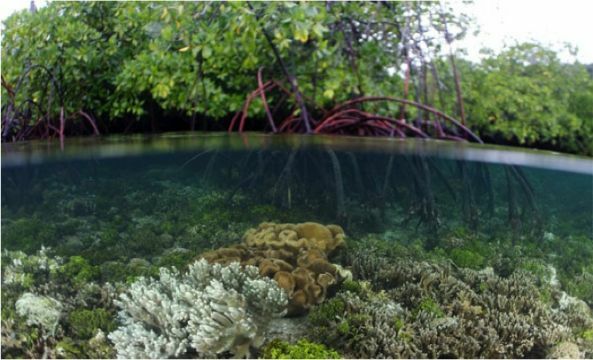 The Indonesian Climate Adaptation Tool for Coastal Habitats (I-CATCH) was developed by USAID and the Santiri Foundation. It combines participatory rural appraisal methods with available data, with the goal of ensuring that district level planning is informed by information on local level community vulnerability. These coastal vulnerability assessment tools were developed by Philippine marine scientists and are designed to facilitate local level vulnerability assessment specifically for coastal areas. The suite of tools make use of readily available data, combined with participatory information. There are three main tools; the Integrated Coastal Sensitivity, Exposure and Adaptive Capacity to Climate Change Vulnerability Assessment Tool (ICSEA-C-Change), the Coastal Integrity VA Tool (CIVAT) and the Tool for Understanding Fisheries Resilience (TURF). The tools were designed for use by coastal managers and practitioners, and to assist in local government planning. The guidebook below provides detailed guidance on use of the tools, and various examples of their application. Developed by CARE International, the Climate and Vulnerability Capacity Analysis (CVCA) methodology has been widely used for vulnerability assessment (see for example the case studies for Indonesia). CVCA combines community knowledge and scientific data to understand local vulnerability to climate change and was developed based on factors which support Community-Based Adaptation (CBA). Now that you've had a look through this material on vulnerability assessment, why not explore the guided example on climate analysis which has also been prepared to support workshop participants. Or have a look at the Climate Information theme for lots more on the use of climate analysis to support adaptation. The adaptation toolkit, developed by SEI and ENDA TM, provides overviews of a several different tools for adaptation, including vulnerability assessment, participatory resource mapping, scenario-building and adaptation screening. 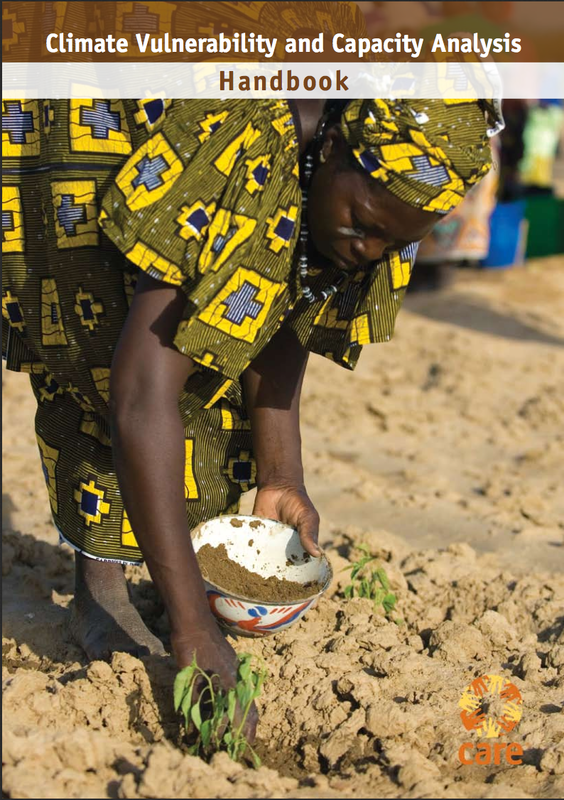 The Community based Risk Screening Tool – Adaptation and Livelihoods (CRiSTAL) is another quick method for assessing community-level vulnerability. For an Indonesian example see here. GIZ have developed a framework for vulnerability based on their work in India. The main repository for training modules on weADAPT is the Climate Adaptation Training theme. Modules in the theme which might be of particular interest are highlighted below, and there are many more as well!